We are a locally owned dog grooming shop located at 6042 West Irving Park Road in the Portage Park neighborhood. We are open Tuesday through Saturday by appointment only. Click below to schedule an appointment online or call 773-817-3868. Shorty Styles grooms all dog breeds. Your dog will be treated gently with the finest shampoos and conditioners. Our goal is to make grooming a fun and enjoyable experience for your pet. With a few exceptions, most dogs will be out within two to three hours of their appointment time. For additional services, please contact us. Click below to schedule an appointment online or call 773-817-3868. All dogs must be neutered or spayed, and up to date with rabies vaccinations. Please bring documents with you to your first appointment. Shorty Styles has a 48-hour cancel and/or reschedule policy. There is a $30 no show/same day cancellation penalty. We reserve the right to cancel appointments for those who consistently fail to cancel and/or reschedule. Hi, my name is Victor. I attended grooming school 15 years ago and have been grooming dogs ever since. Over the years, I have worked for larger well-known national pet store chains and boutique grooming salons throughout Chicago. Shorty Styles is named after my first dog Shorty, who passed last year. My wife and I welcomed Shorty into our lives when we were still dating as teenagers and he will forever be our first child. Today, we continue his legacy with Shorty Styles. Noel and Mochi are the furry four-legged friends who run our household now. Noel is a short-legged terrier and beagle mix and Mochi is a Japanese terrier and miniature pinscher mix. Our dogs are a big part of our family and you’ll often see them visiting the shop with my children. 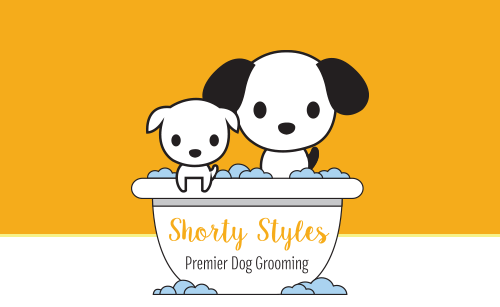 You and your dog can expect a first-class experience at Shorty Styles; my goal is to make grooming a fun and enjoyable experience for both you and your favorite furry friend. All dogs must be neutered or spayed and up to date with all rabies vaccinations. Shorty Styles is located at 6042 West Irving Park Road, Chicago, IL 60634. We are open Tuesday through Saturday by appointment only. Click the map to create driving directions from your location. Schedule your appointment online by clicking here or calling 773-817-3868. We’re always looking to exceed your expectations, let us know how we can improve by filling out the form below. If you would like to make an appointment for same day or next day, please call us at 773-817-3868. You can schedule an online appointment here. 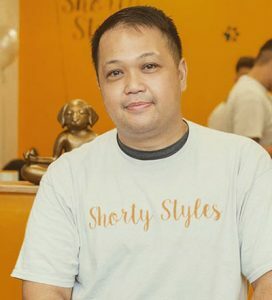 © 2019 Shorty Styles. All Rights Reserved.